Federal officials warn authorities New York City, Texas and Virginia about an unspecific threat of attacks by Al-Qaeda around Election Day. Federal officials have warned authorities in New York City, Texas and Virginia about an unspecific threat of attacks by Al-Qaeda around Election Day, officials said on Friday, according to Reuters. A U.S. government source in Washington said some federal agencies sent bulletins to local and state officials flagging the information but stressed that the threat was relatively low-level. A U.S. official familiar with the threat information said that it was "uncorroborated," but that federal agencies believed that they needed nonetheless to remain vigilant. The New York City Police Department and the Port Authority of New York and New Jersey were alerted to the information, the local agencies said. The Port Authority, which operates airports, tunnels and bridges around New York City, is continuing high levels of patrol it has had in place, spokesman Steve Coleman told Reuters. He declined to offer details on the warning, but the police department said the threat report lacked specifics and was still being assessed. "We are aware of the information," the department said in a statement, adding that it was working with intelligence agencies and the Joint Terrorism Task Force. Although some of the attention of U.S. authorities has shifted to Islamic State (ISIS)-inspired attacks, Al-Qaeda has shown resilience more than 15 years after it was responsible for the September 11, 2001, attacks. 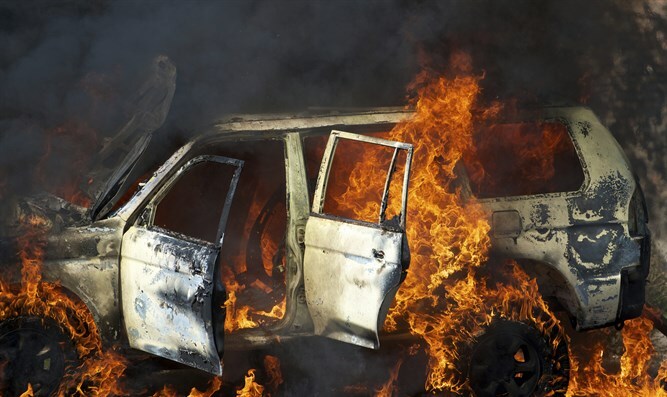 Last month, the United States carried out strikes in Afghanistan targeting two of Al-Qaeda's senior leaders in the country, while the group’s Yemen branch continues to be a threat. Hamza Bin Laden, the son of Al-Qaeda founder Osama Bin Laden, recently threatened the U.S. for assassinating his father. "As for the revenge by the Islamic nation for Sheikh Osama, may Allah have mercy on him, it is not revenge for Osama the person but it is revenge for those who defended Islam," he added. Texas Governor Greg Abbott said on Friday his office was monitoring the situation. "Texans should go about their daily lives as usual, but remain vigilant over the next several days and report any suspicious activity," Abbott, a Republican, said in a statement quoted by Reuters. Virginia Governor Terry McAuliffe, a Democrat, is constantly monitoring state's security, spokesman Brian Coy said. "We are doing everything we can to keep Virginians safe, and we're confident they are going to be able to vote safely on Election Day," Coy said in a phone interview. The Federal Bureau of Investigation did not confirm the reports or comment on details. Officials at the U.S. Department of Homeland Security did not respond to a request for comment. Last year around Thanksgiving, it was ISIS which threatened to attack the White House as well as Times Square in New York. President Barack Obama later assured Americans that they do not face a credible and immediate terror threat.